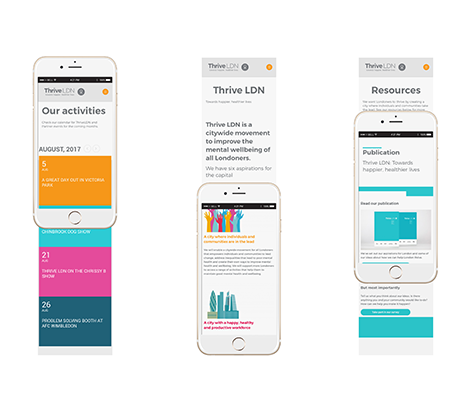 I have worked with Together on a series of design requirements for Thrive LDN (a citywide movement to improve the mental wellbeing of all Londoners, supported by the Mayor of London). 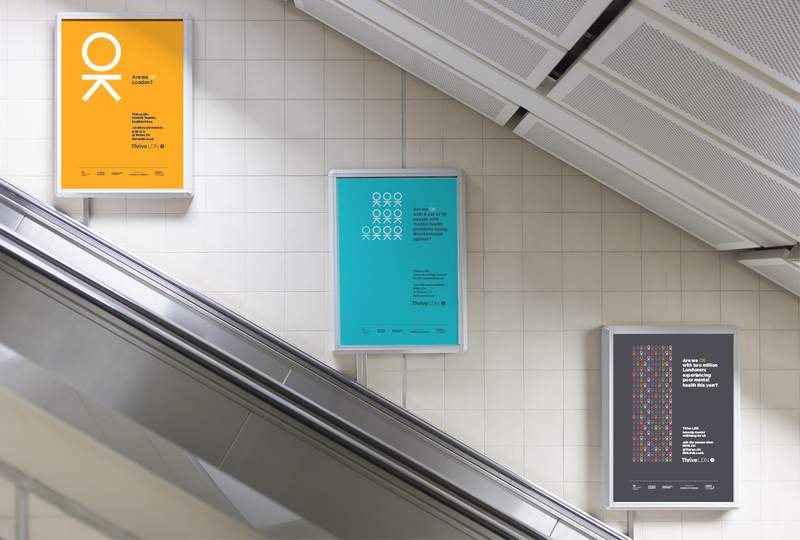 The work initially covered brand identity development and, based on the quality of work they produced, extended to cover website development, design for a print production and digital equivalent, and several physical and online assets. Their process is pragmatically thought out and rigorously managed. It is a process that takes the time to deeply understand the requirements of the brief and the expectations of stakeholders and approvers. It is a process that explores the subject matter and underlying concepts in extensive detail, as well as the intended outcomes and reception. Their design ideas are brave and bold. 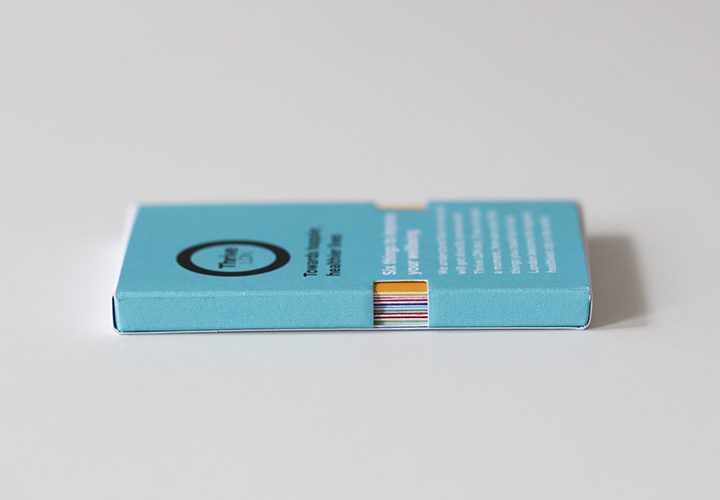 They encourage and take on board detailed feedback, and never shy away from voicing their opinion if they think I am making the wrong decision (I have no design experience and have greatly appreciate them doing this at times). 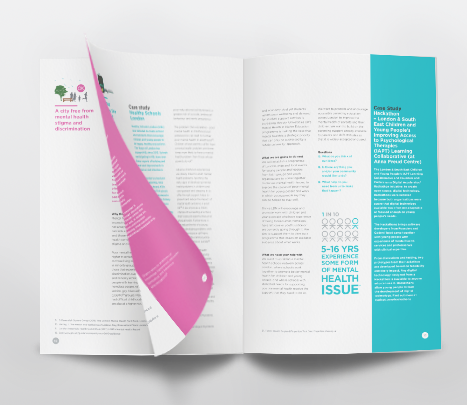 Being a public initiative supported by many public services, all their work is tested with stakeholders and Londoners, and must be approved by senior leaders at Greater London Authority, Public Health England, London Councils and Healthy London Partnership. All their work has tested extremely well with the public and sailed through every approval meeting I’ve had. It is hard to find words that do justice to their end product; it is always of the highest quality and always receives a “wow” reaction. The first project exceeded my expectations, so I have come to expect much more of them since, but still they exceed my expectations. 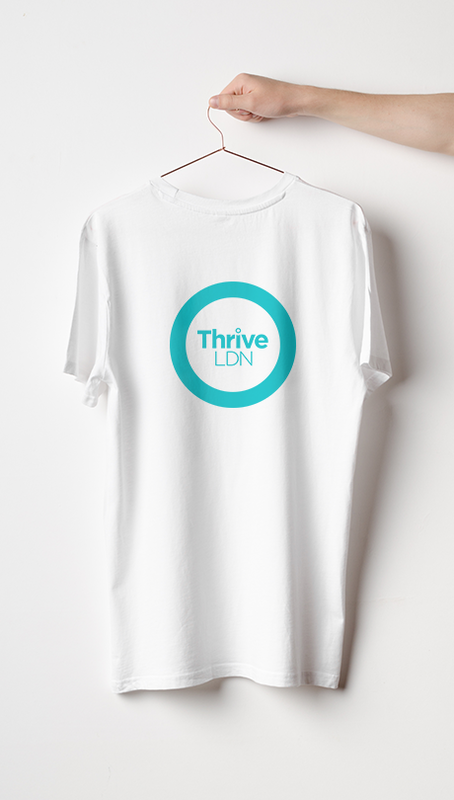 They have made a name for themselves at Thrive LDN – people can’t wait to see what they produce next. 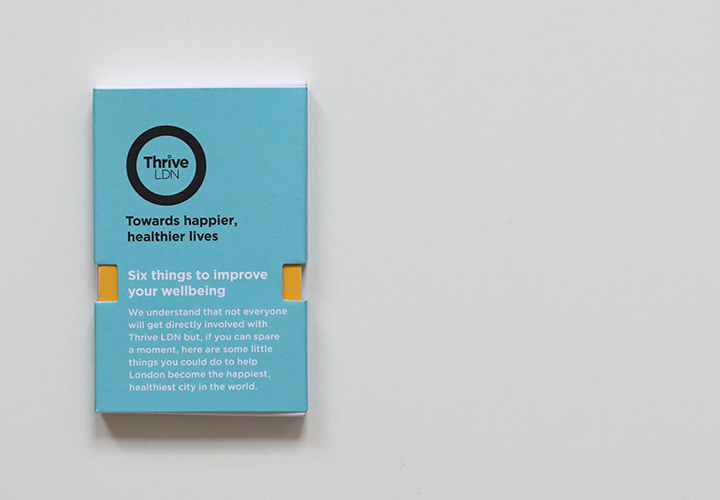 Thrive LDN approached us with a tough brief. 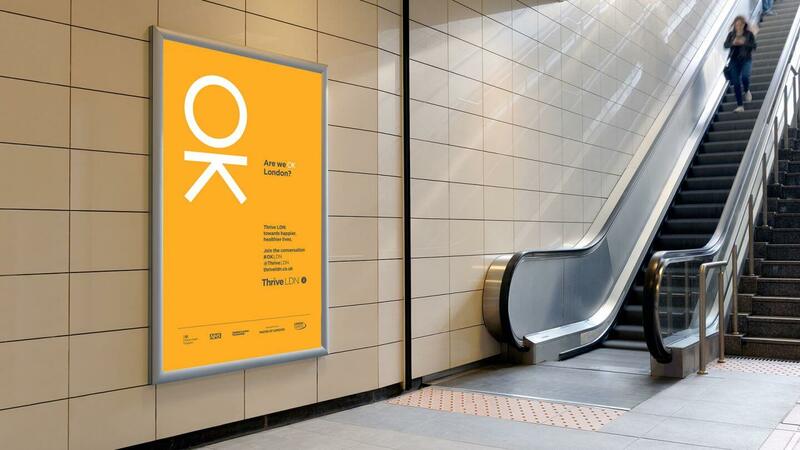 Create a user-tested brand and identity, supporting London-wide advertising and awareness campaign, website, launch publication, social media assets and event materials. 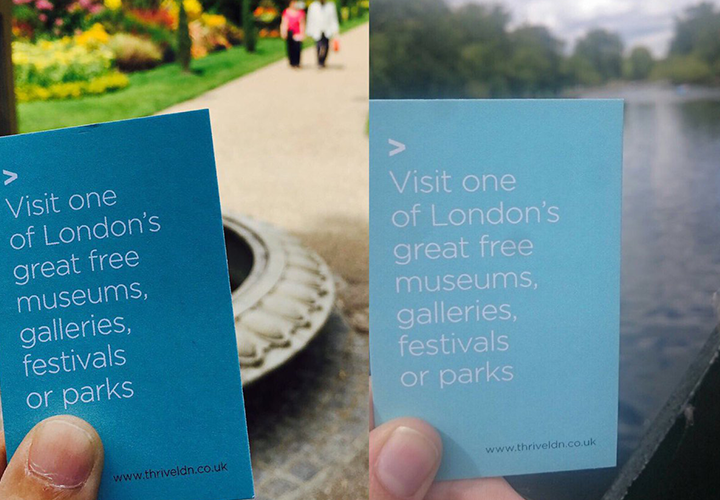 Three months later the Thrive LDN team armed with their wish list of deliverables had smashed their audience reach figures and were beginning to build their activities and programme of user engagement events across the capital with the support and backing of the London Mayor. 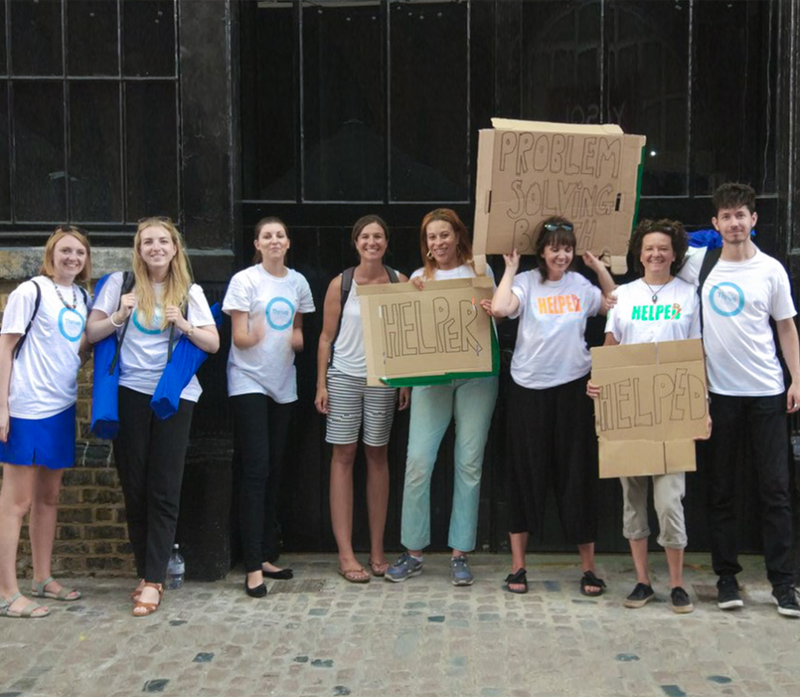 Together are delighted to support the important work that Dan, Una and the whole Thrive LDN team have managed to achieve in a short space of time and look forward to supporting them from strength to strength. 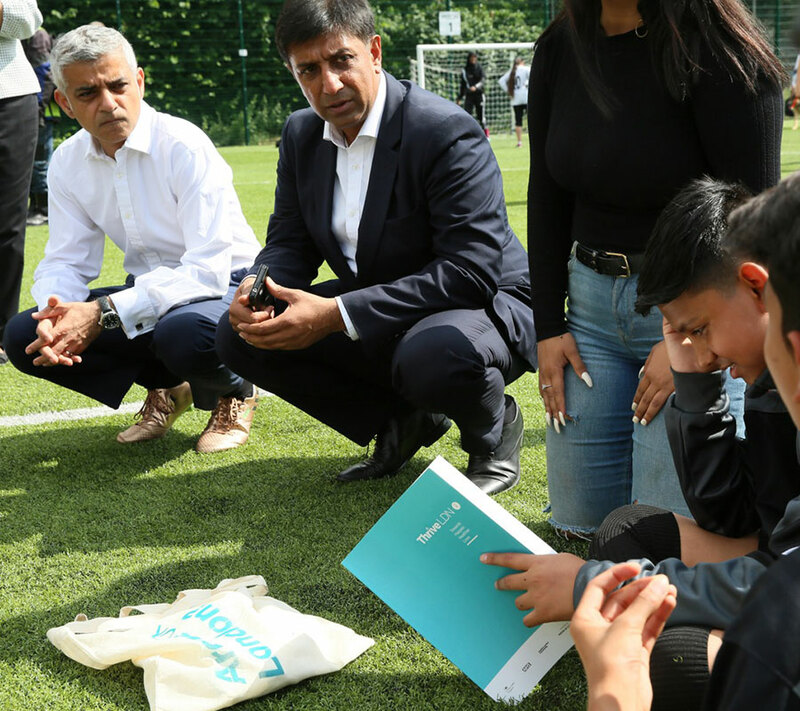 The Thrive campaign was launched by the Mayor of London, Sadiq Khan in July 2017. 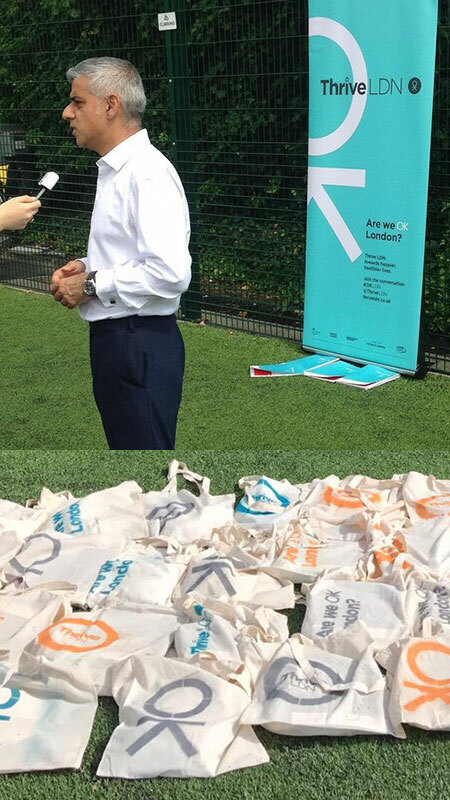 They want this to be a people’s movement so everything was low key – stencils sprayed onto tote bags etc. The website allows people to Sign-up to the movement, check calendar listings near them, and share their views.